What’s the best thing about Christmas? Yeah, OK, maybe it’s all the glorious presents, but what is the second closest best thing about Christmas? If only there was a way to enjoy the delicious treats while avoiding the countless hours spent in front of a stove. Oh, wait. There is. You can eat out! So what are the best places to grab a bite in London on Christmas? 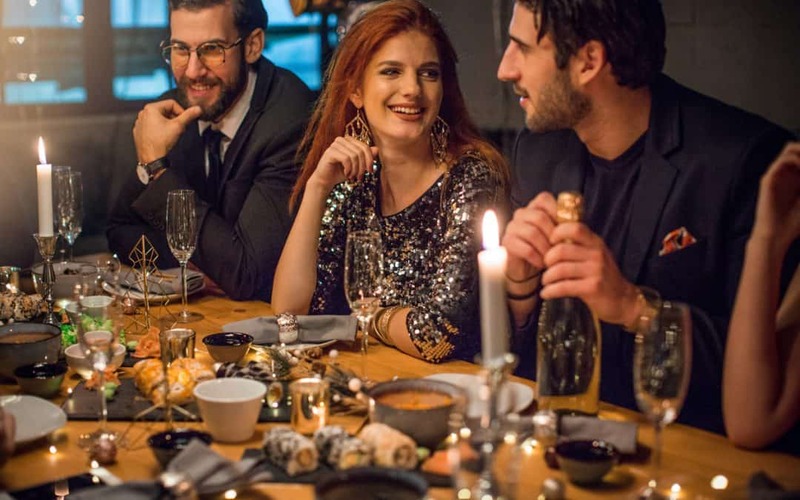 Not only is this place a great fit for a traditional Christmas dinner, but it is also superb for those who are new in town and still wish to learn about the local eating habits. Surely their main course for one of the biggest holidays in the country will be worth your attention. What’s on the menu? Oak-smoked salmon, roast Heron Farm turkey and the mouthwatering Christmas pudding will be there, waiting to please your taste buds for as little as 85 quid for the whole thing. Come here expecting the elegance of a 5-Star hotel and leave getting so much more as the place literally transforms into a fairy tale come to life every December. This year’s theme is the Enchanted Journey that adds a faint flare of magic into the everyday routine. You can expect a masterfully crafted three-course meal with a glass of champagne to wash down the Scottish scallops for 49 quid. The hotel makes Christmas reservations for parties, banquets and festivities that come in a full dinner party package for £ 110. This place isn’t what one may call a traditional location for a Christmas dinner, but it only makes the things more interesting, doesn’t it? Come here with friends to enjoy large Mexican and Peruvian dishes you’ll all share together. 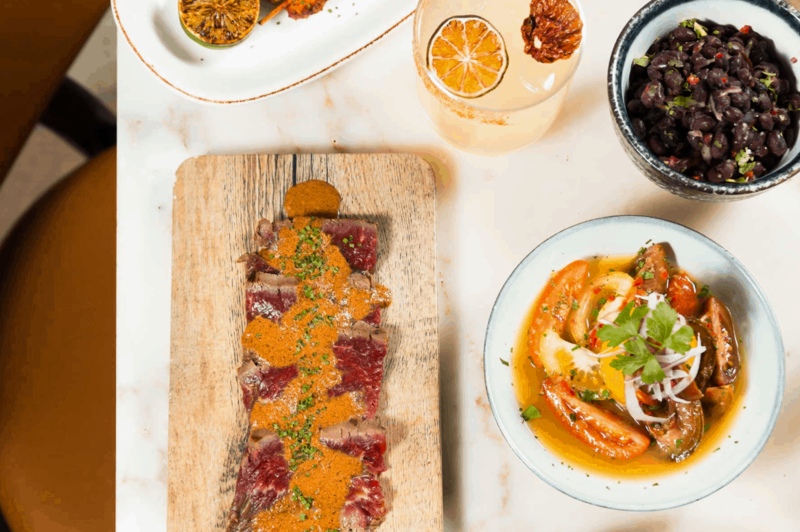 Smoked paprika ribs, soft shell tacos and more finger food will add a little bit of crazy into the time you’ll be spending here and the rich flavors will ensure you’ll be coming for more. If the Christmas spirit is about sharing to begin with, why not share a taco with friends? Take the good old classics, spice them up with a tiny drop of hipster souse, add good music and out of this world cocktails into the mix and you’ll get the Made in Chelsea’s favorite hot spot – the Bluebird. The traditional three-course here will treat you to a juicy roast turkey, roasted cod and beef fillet for as little (or as much) as £110. That being said, your options are not limited and I would suggest you have a go at the Dorset crab. You won’t regret a bite! 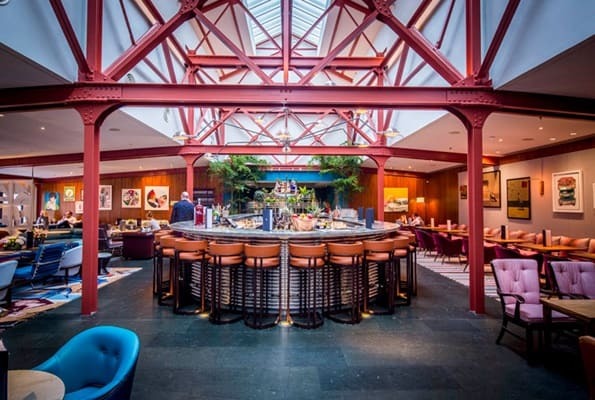 This is one the best places to grab a bite in Mayfair on an average day but the Christmas menu makes it worth your time so much more! 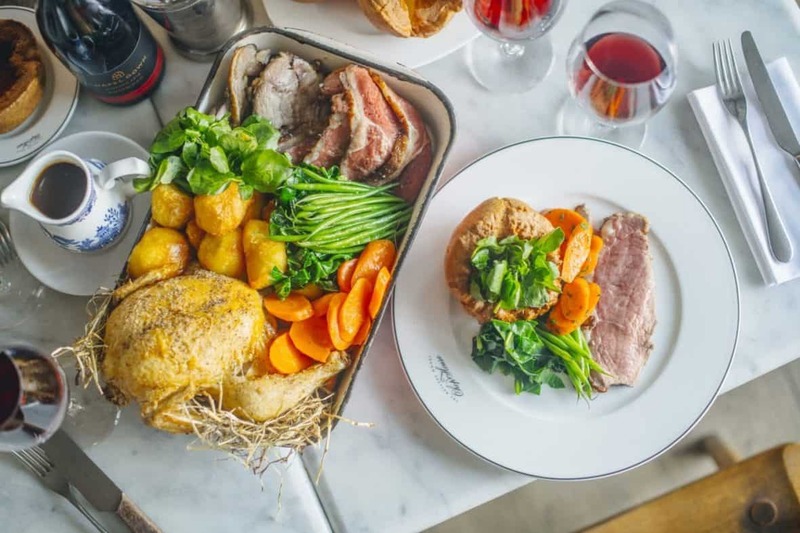 You’ll have their entire carte to choose from, which is nice for those of us who enjoy the variety and yet it is the Christmas special that we’ll all come here for – their roast turkey and the pudding. “What? Turkey and pudding? Been there, done that!”, you might say. And you’ll probably be right with a slight nuance – you haven’t tried these dishes here. Or, in simpler words, you have never tried them at all. Nice, trendy, loud, delicious are the four words I’d chose to describe the Dean Street Townhouse. Is it not the perfect combination for a large group of friends to celebrate Christmas at the same table? This is one of the few places in London that can actually fit a considerable amount of people with comfort. I mean, loft is nice and all and a basement feels pretty cozy if dim lit, but what about those of us who wish to sit without flexing their back into an ungodly shape? That being said, the extra comfort will cost you a fair price – 100 quid for the course. A course that is, might I tell you, very much worth the investment. 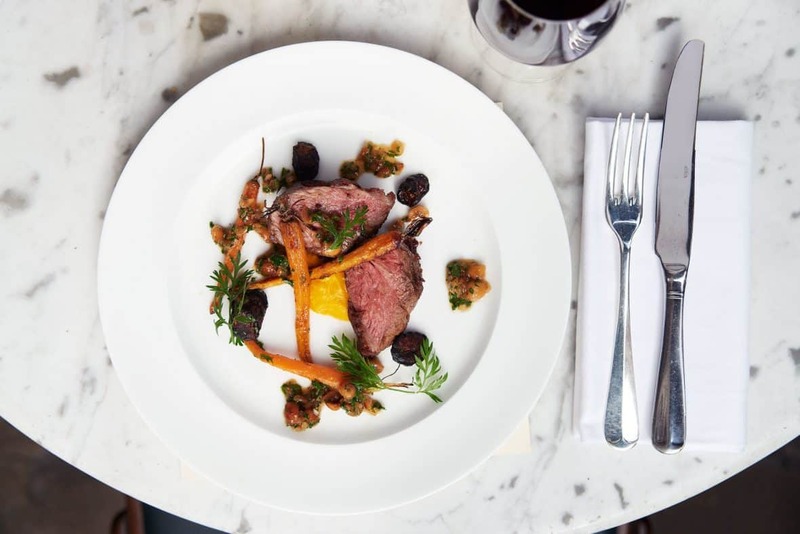 Classic British dishes like smoked salmon, tipsy trifle and soda bread, a roast beef fillet, the Norfolk turkey and capers are all included. Them and a glass of champagne as well as coffee paired with mince pies make sure that you won’t be leaving the Townhouse on an empty stomach. So, guys, where would you go to grab a bite on Christmas? Please share your thoughts with us on Twitter and Facebook because we would like to know all the options!